Empire State Virtual Branch Won Many Awards! Dr. Chigurupati Rani, Joan Monk! This entry was posted in Empire State Virtual NY Branch AAUW Awards, General and tagged AAUW, Economic inequality, Education, Gender pay gap, Women's Equality Day, Women's rights on May 16, 2016 by drrani. 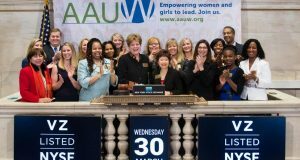 It was with great pleasure that Edwina Martin, AAUW NYS president, Melissa Guardaro, UN representative and Maria Ellis, AAUW NYS C/U Director & ESVB President participated in the New York Stock Exchange Opening Bell on March 30, 2016. 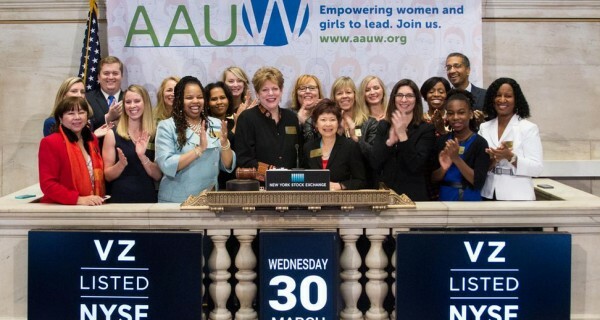 Representatives and guests of the American Association of University Women (AAUW) visited the New York Stock Exchange to highlight Women’s History Month. In honor of the occasion, AAUW CEO Linda D. Hallman, CAE and AAUW Board Chair Patricia Fae Ho, rang the NYSE Opening Bell®. Attendees included AAUW’s national staff, our Public Relations manager, Ryan Burwinkel, Nicole Phillips and representatives from Verizon and Symantec and other AAUW corporate partners. This entry was posted in General and tagged AAUW, Economic inequality, Education, Women's Equality Day on May 16, 2016 by drrani. HOORAY! NYS EQUAL PAY BILL TO BECOME LAW! NYS EQUAL PAY BILL TO BECOME LAW! The NYS Assembly unanimously passed NYS Equal Pay Bills on April 27, 2015. The NYS Senate had approved them earlier this Session. 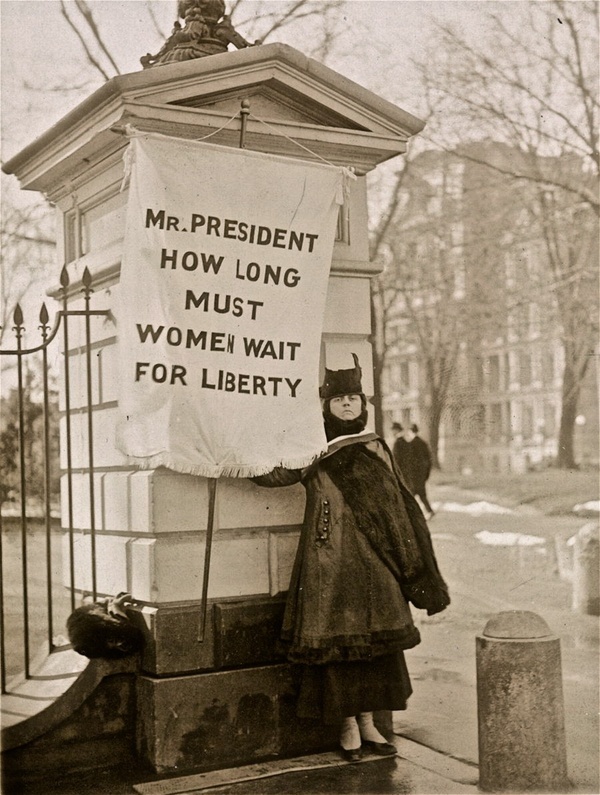 AAUW and others have lobbied for Equal Pay Bills for well over a decade. When the Governor signs the Bills, he has said he will, in 90 days they will be law. The Women’s Equality Coalition, of which we are a member, reports that A.6075 updates New York Equal Pay Law by creating robust wage secrecy protections, so that employees cannot be fired or retaliated against for sharing their wage information as well as allow for increased damages up to triple the amount of unpaid wages when an employee successfully proves that an employer has willfully violated the law. These are essential components in achieving pay equity. A person must know how much others who are doing equal/comparable work are being paid to institute a legal action. Having access to proof that wage discrimination on the basis of gender exists means cases can be won, thus forcing employers to face paying severe damages when they pay employees inequitably. The passage of this law means a reduction in the 86% gender wage gap in NYS. Thank your NYS Assembly Member for voting for A6075. Contact info at http://assembly.state.ny.us/mem/ fill in you zip & address, click and email your message. Ask your member of the House of Representatives to co-sponsor the Paycheck Fairness Act. How? Go to aauw.org; click on Take Action; enter your zip code then complete the Tow Minute Activist. AAUW Action Network members were asked to respond on April 17 to the e-mail titled “Ride the Equal Pay Day Wave”. Congratulations on the passage of the NY Equal Pay Bills. It would not have happened without your support. This entry was posted in Public Policy and tagged Economic inequality, Gender pay gap, Women's Equality Day on September 14, 2015 by drrani.